The above products are recommended for installation or mounting of the 16.5.8 Plain Iron Newel. 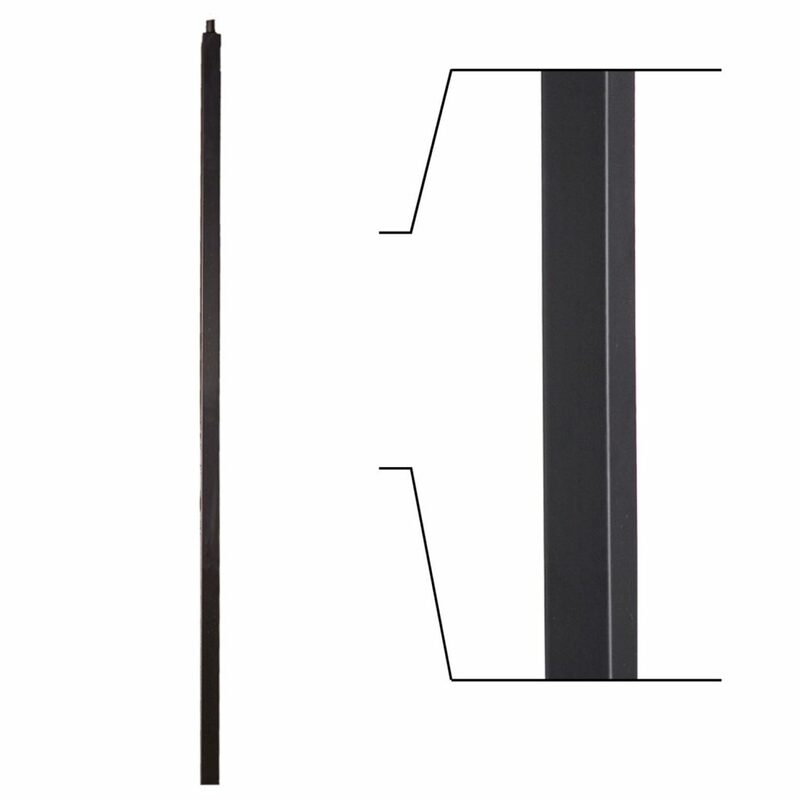 The 16.5.8 Iron Newel is a plain square newel. How would a wood handrail be attached to this newel. I see the round top section but can’t tell how it attaches. You would need to purchase one of our Handrail Fittings, specifically you’ll probably want a Start Easing, Left or Right Hand Turnout, Left or Right Hand Turnout. Each of these fittings have a hole in the bottom that fits over the round portion of the iron newel. Is the satin black newel hollow or solid?? Our Satin Black Newels are solid wrought iron. They weigh around 20lbs each. Please let us know if you have any other questions. How do you connect these posts to the handrail. Is there a hole at the top or bottom ? Can you proved a copy of the exact specifications of this product. Each of our handrail fittings that are designed to start a handrail section (e.g. Volutes, Start Easings, Turnouts, Opening Cap) come with a pre-drilled hole to attach the newel. If you need to attach the newel to a straight section of handrail, simply drill a hole into the bottom of the handrail to match the top of the iron newel. Alternatively, you could purchase a Tandem Cap which will have a pre-drilled hole in the bottom. Do you have these in stock in Satin Black? Yes! We do have these in stock in Satin Black! I would like to use the 16.5.8 Plain Iron Newel with the 6000 rectangular wood handrail and plan round iron pickets. How would the newel attach to the 6000 wood handrail? The process for installing an iron newel is fundamentally the same as installing an iron baluster. Take a look at our Iron Baluster Installation Guide for a step-by-step tutorial.